At its core, Numantia is a strategy game about an ancient conflict. Players take time between battles to manage their armies and heroes. Throughout all of this, the events of a decades long conflict is put on display. It is a worthwhile journey for fans of strategy and history, even if the battles are not the best examples of strategy gameplay. The core of this game revolves around a conflict that took place in Hispania between the Numantians and the Romans. Numantia was an ancient Celtiberian settlement. The war that Numantia focuses on lasted 20 years and ended is blood and fire. You can read more about the actual settlement and conflict here . As a central mechanism for a strategy game, the historical backdrop is alluring. There are tons of games that have fantastical backdrops for strategy games. But this is the first in recent months not attached to the Total War franchise that I can recall at a moment’s notice. Players take up the mantle of either the Numantians or the Romans. Each campaign has 11 chapters filled with strategic choices, historical information and battles where players need to test their mettle. The premise of managing an ancient army is an intoxicating one. The allure increases when you realize that managing resources, unit upgrades and the number of units you can bring into battle means the difference between success and failure. This adds to the sense that Numantia is a grand strategy game on the scale of a local conflict. The sense of watching an ancient war play out at the players’ command is incredible. The stories between the two factions are different enough to warrant playing both. Each campaign is filled with serious choices that will play out throughout the rest of the campaign. Using real history as an inspiration for a strategy game, especially history that is less known than the history used in other strategy games, works well here. The overall premise of Numantia is a winner. 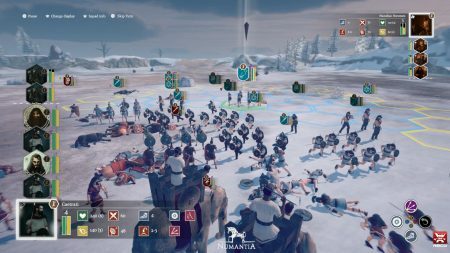 A great big portion of the gameplay in Numantia revolves around making hard choices in running your army and making sure that army is ready to go to war at a moment’s notice. Players move between two different maps. 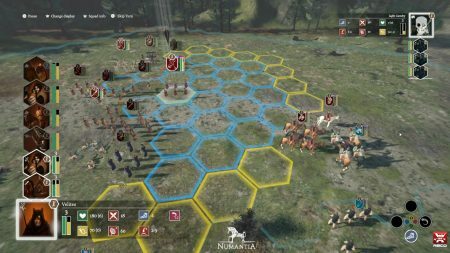 There is a base camp map, where players make choices involving the army and resources, and the map of Hispania, where the war is taking place on a larger scale. In Hispania, players can zoom in and out of different areas before choosing when to march on different settlements. In the camp, things like choosing which heroes to interact with, which units to recruit, equipment to buy and that sort of thing take place. This is also where you make decisions about different questions that arise, like whether or not you should look for a unit of men who went missing while gathering fire wood. All of this preparation and routine work does not feel like a grind or routine when you afre going through it. Decisions feel weighty and substantial. There were instances where I made decisions that led to conflict when I was not prepared, leaving me with no possible chance at winning the battle. When this happens, you feel helpless. Your best chance at saving time is to just reload a recent save. What happens in combat is another beast entirely. 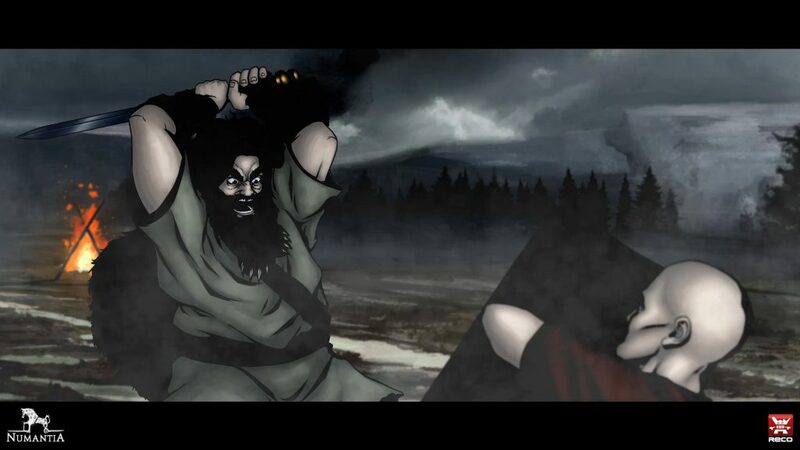 In a single sentence, the combat is the weakest part of Numantia. Combat takes place on a hex grid. 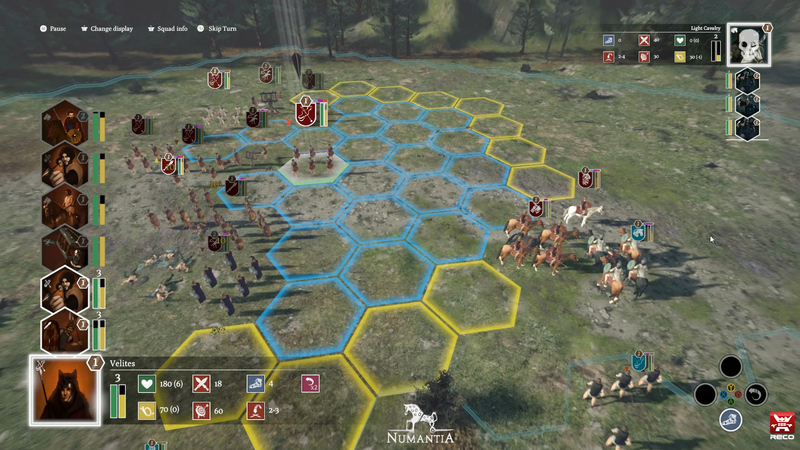 Before the combat starts, the player is able to arrange all of their units on their side of the map in any way they like. Afterwards, combat takes place in roughly defined turns where units, depending on their initiative score, move on the grid and attack enemies. Different unit types make sure that the player has the ability to organize units in ways that make strategic sense. Ranged units do poorly at close range. Infantry tears up opposition at close range. The problem is not that units feel samey, it is that combat is not especially satisfying. There were no situations where I felt like I outsmarted the computer. Each encounter ended in a war of attrition stlye conflict. In all, combat does not ruin the game, but it does pull the spotlight away from an otherwise great look into a historic conflict. The game includes a one on one versus mode, as well, where players go into combat against eachother locally. Presentation is the most middling part of this game. The artwork has tons of character, the music is epic and ominous, but when you get down into the graphical weeds, things look less spectacular. Individual units lack the blockbuster type umph that would make me drool, but really do get the job done. Each unit has a different look and different visual style, even if the actual models are a tad underwhelming. A small detail this game makes great use of is in the barracks. While presentation here is what players might expect, each unit has small biographival information attached. These explain what the unit’s place in a real army was. That is pretty cool to see in game. 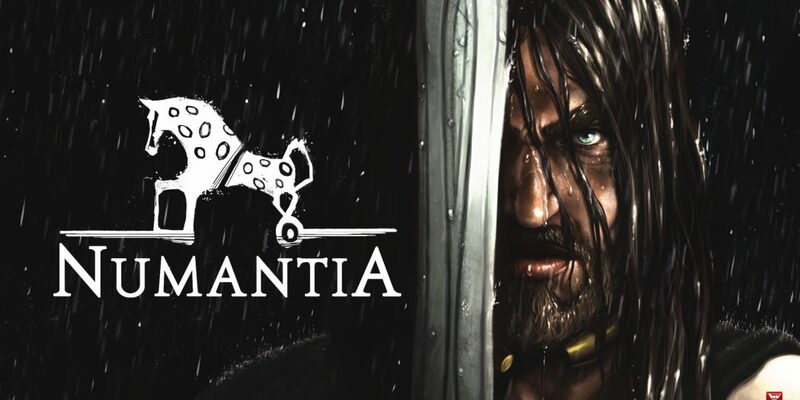 Numantia is not groundbreaking as a turn based strategy game. Players do what they need to do to ready their armies and take them to war, either to fight for freedom or subjugation. Multiple campaigns give players a new way to view a lesser known piece of history.